Lower neck pain can occur in the center of the cervical spine, or on either side, often indicating a possible muscular expression, rather than spinally-motivated symptoms. The lower cervical region is an area which is subjected to an incredible variety of degenerative processes as a normal part of life, including spinal osteoarthritis, facet joint deterioration and degenerative disc disease. These processes can cause or contribute to neck pain is some patients, although not universally, since most people will demonstrate the physical indications of degeneration as they age, but will not express chronic or severe symptoms. Ongoing muscular issues are also very common in the lower neck and may be more difficult to treat than definitive spinal causations. This discussion focuses on both the spinal and muscular causes of low cervical pain in the neck. Structural issues in the spinal column itself can cause or contribute to symptoms in the lower neck. This area describes the C6, C7 and T1 vertebral structures, as well as the C6-7 and C7-T1 discs, the latter also being known as the cervicothoracic disc. The juncture between the cervical and thoracic regions often is a locale which often demonstrates a herniated disc and due to the shape and contour of the spinal column in this area, herniations at C5-6, C6-7 and C7-T1 often touch, displace or even compress the spinal cord. This can result in spinal stenosis neck pain, tingling, weakness or numbness anywhere below the affected level. Of course, it is also possible for disc or bone issues to create lateral recess stenosis or foraminal stenosis, as well, potentially enacting a pinched nerve which may elicit pain or neurological symptoms in the neck, shoulders, arms or hands. 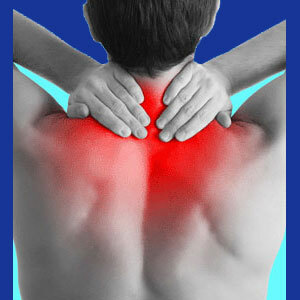 Many possible soft tissue conditions can also strike the lower neck area and cause very agonizing pain syndromes. Muscular, ligament or tendon injuries are commonplace in this region and may require professional evaluation and physical therapy rehabilitation in order to fully resolve. These types of conditions often involve the scalene muscles or the trapezius muscles, but may influence other structures, such as the sternocleidomastoid or deltoid groupings. Chronic concerns in the lower neck may indicate a compressive neuropathy or vascular compression syndrome which is often diagnosed as thoracic outlet syndrome. This occurs when a muscle near the brachial plexus pressures a nerve, artery or vein, enacting powerful symptoms which often mimic those of a spinal pinched nerve. Thoracic outlet syndrome can make accurate diagnosis particularly difficult, especially when other coincidental spinal degenerative processes exist at the same vertebral levels. Lower neck symptoms are one of the most common issues which drive patients to seek treatment. This is true regardless of whether pain is present in the middle of the neck, on one side only, or bilaterally. Lower neck ache will typically affect the strength and functionality of the upper back muscles, the shoulders and the arms. Patients often complain of pain in the lower muscle groups (inside the shoulder scapula or in between the shoulders) when turning the head. The constant misery of a lower neck condition can become unbearable if not successfully treated. Currently, this type of pain seems to be the bane of my existence, as my symptoms have settled into the mid to lower neck and often really torture my shoulder area, as well. It did not help that recently, I suffered a slip and aggravated the neck to a huge degree. I hope that the pain will begin to resolve, but so far, no luck. Remember to talk to your doctor about discovering why your lower cervical spinal region may hurt and how to go about fixing it. Make sure that you understand the diagnosis presented and take an active role in your treatment process. This is the best way to reach true recovery. If no structural reason presents itself to explain the pain, or if many treatments for a speculative diagnosis have failed, you might want to read more about ischemia and how this insidious disorder can cause long-term and difficult to treat symptomatic conditions in the neck.